I could see a dusting of snow on my deck as I put together these sweets, so I’ve re-dubbed them “first snowfall cookies.” It was, after all, the first powder of 2012. 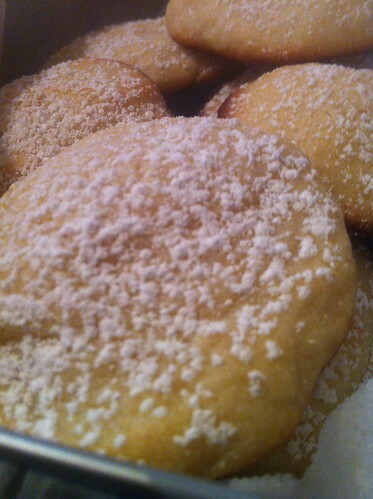 The recipe calls them Lemony Cream Cheese Cookies, and I can enthusiastically recommend them. They’re what you’d get if you managed to get the flavor of cheesecake into portable cookie form.